Providing training to your employees to keep their skills up to date as well as to keep them motivated is key to the success of your business. In fact, 7 out of 10 people say that training and development opportunities influence their decision to stay with a company. (CED Magazine). However, managing employee learning and the learning catalog can be quite a challenge if you do not have a proper Learning Management System (LMS) in place. 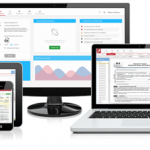 There are multiple choices out there for a learning management system, however one of the goals of most organizations is to use as less systems as possible to manage their daily activities and also to save costs on maintenance and licenses. That is why a company called Lanteria, created a full HR Management system that runs on SharePoint, and which includes a Learning Management System Module. Before reviewing it, here is a description of their product from the company website. Learning solution by Lanteria is a SharePoint LMS that completely automates learning management and employee knowledge assessment systems in your organization Learning is a tool that helps to improve the employee knowledge and skills by planning and delivering targeted training programs. The Learning Catalog allows for storing E-Learning courses, documents, classroom trainings, quizzes, videos and other materials. 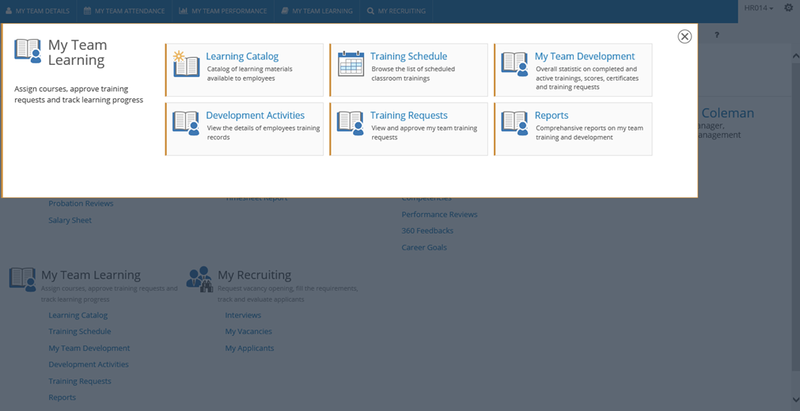 The Learning Catalog is structured, fully searchable and accessible by all employees in a company. 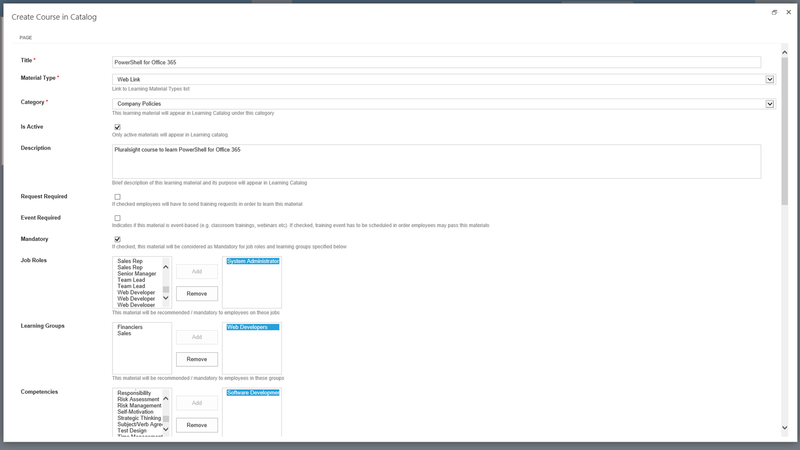 For this review, Lanteria gave me access to one of their pre-populated SharePoint sites with a lot of content already inside. Let’s start with how the system looks as an employee. When logging in as an employee and navigating to My Learning, the first thing that I would probably be interested in is the Learning Catalog. 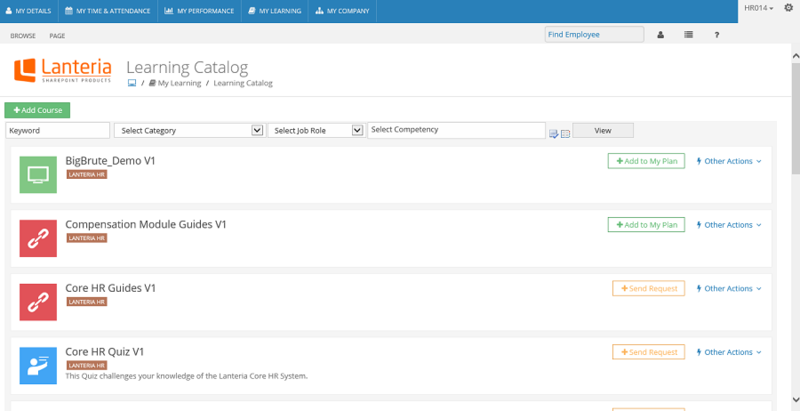 In the Learning catalog, I can see all the learning materials that the company has for the employees. Training materials can be documents, e-learning courses, classroom training, quizzes and even Web Links. 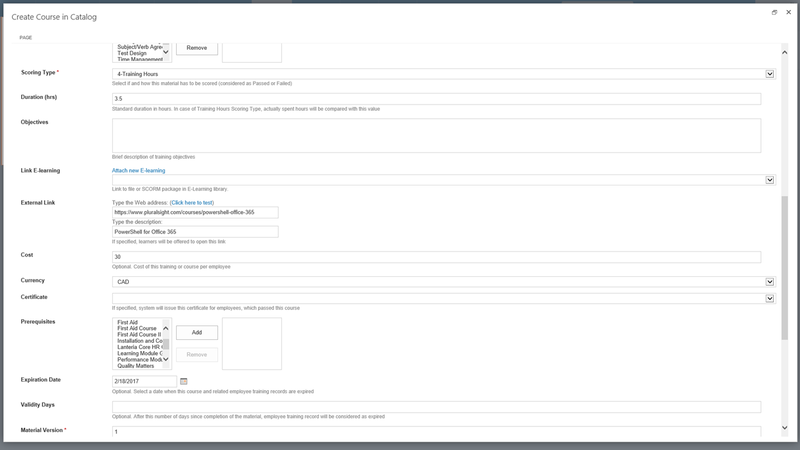 I can use the filters from the top to filter with keywords, categories job roles or competencies. From here, I can either Add a course to my plan if it’s open to everyone, or Send a Request to my manager to approve me for a course if that course requires approval. In this case, let’s add Compensation Module Guide to my training plan. 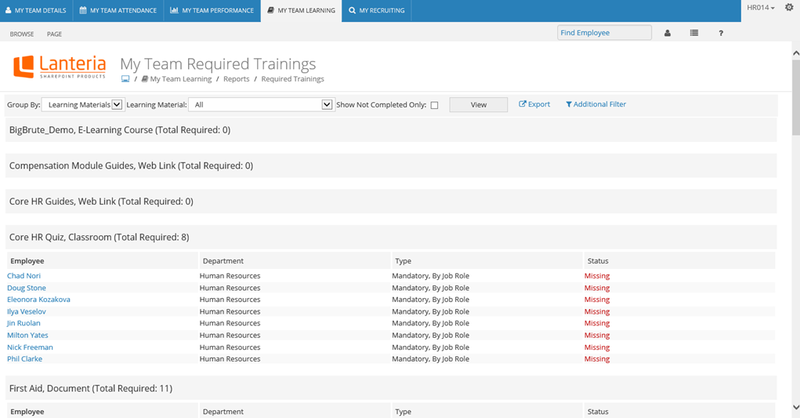 I can also view the trainings for which I have submitted a request, and their status. As an employee, I found that the way to consume training very easy and user friendly. Now let’s take a look at how does the interface looks from a Manager perspective. As a Team Manager, I have access to statistics and reports on what my team has been doing. I can also approve my employees training requests. Those reports can be very useful, especially for compliance trainings for the job role. For example, I can quickly see that a lot of employees in my team didn’t complete the Mandatory Core HR Quiz training. I can also view statistics on each of my employees. How many trainings they completed, how many are Overdue, how many they passed or failed and so on! From a team management perspective, everything is useful and easy to use. The reports really provide me with useful information that I Can act on. I kind of wish the reports were a bit fancier (like some cool dashboards), but I understand that with the amount of information displayed, you cannot easily create dashboards that will give all this information. Now that we saw the Manager view, let’s take a look at what the HR Department can do. As a HR person, I have way more options to control and offer training to my employees. For example, I am allowed to add a course in the Learning catalogue. 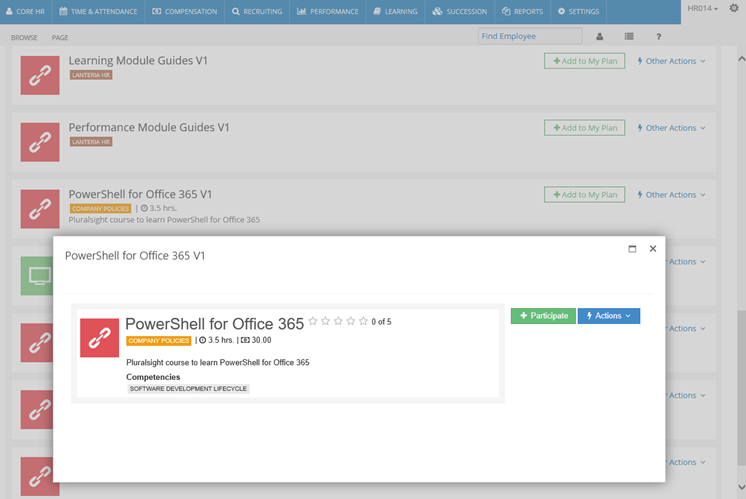 Let’s add my PowerShell for Office 365 Pluralsight course as a Mandatory training for System Administrators, since the company is moving to Office 365. I can also add a lot more properties about the course such as Scoring Type, Objectives, Cost, Prerequisites, Expiration date and a ton more. The course will then be available in the learning catalogue, to the audiences for which we chose to make them available. 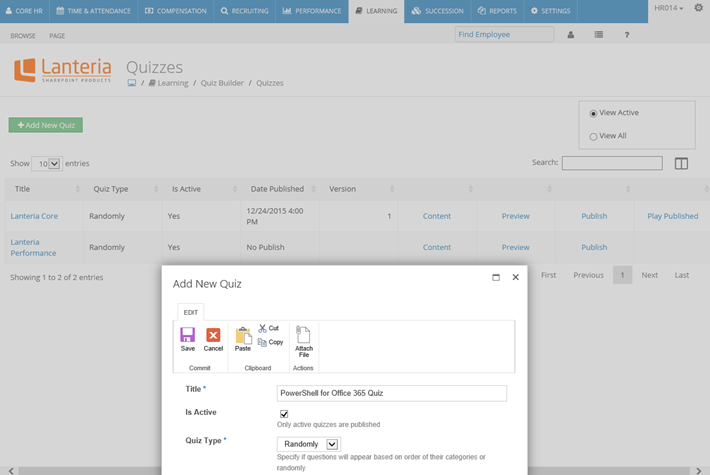 As an HR professional I can also create Quizzes for my trainings to make sure that employees need to pass a Quiz to prove they learned everything. You can also create Curricula. A curriculum is a number of courses united by the same topic or aimed to develop the same competency. For example, you can have the Leadership curriculum consisting of the learning materials that develop the leadership skills. 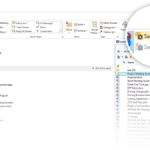 In this blog post we have reviewed the Learning module of the Lanteria HR Management system, that is running on SharePoint. Learning solution by Lanteria is a SharePoint LMS that completely automates learning management and employee knowledge assessment systems in your organization. Learning is a tool that helps to improve the employee knowledge and skills by planning and delivering targeted training programs. 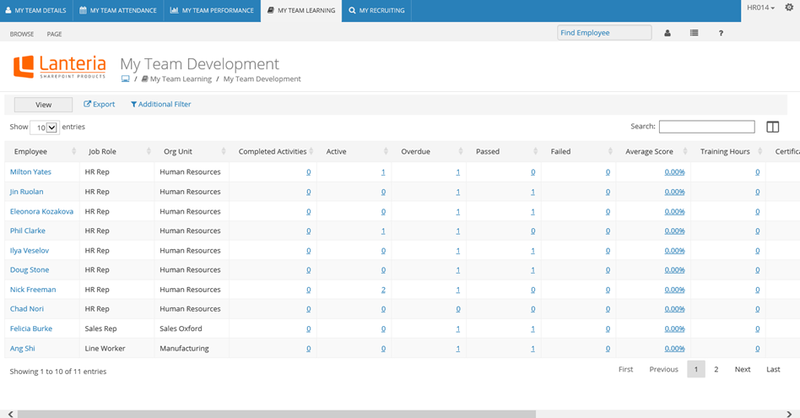 We have looked at the tool from the point of view of a simple employee, from the point of view of a team manager as well as the full interface that HR Personnel gets. I have really enjoyed how the Lanteria Learning Module is structed, as well as its features. As an employee, I can easily add trainings to my plan even if I don’t do them today, and I can also request approval from my manager directly from the system without needing to send my manager an email or schedule a meeting. I also like the fact that the system is flexible enough to allow training to be simply a link to an external training resource, a classroom training with schedule dates, or simply a document. From a team viewer point of view, I can easily look at reports on what my team is learning, and what they should be learning but they aren’t. Lastly from an HR professional point of view, with basic knowledge of SharePoint I can easily manage my LMS, add courses, view reports, assign certificates and assign courses to certain groups. 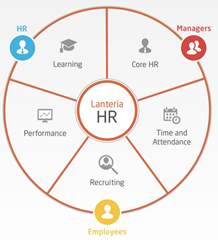 Overall, I got nothing but good things to say about the Lanteria Learning Module, and I think that if you are looking for a Learning Management System or full HR Solution, and you already have SharePoint, you definitely need to check out Lanteria! Visit them at by clicking on the banner below!